The Pulsar XQ19, XQ38 and XQ50 thermal monoculars are new releases from Pulsar that now supersede the HD and XD range. They feature the same body and lense specification, also the unit now features a single combined video/power outlet socket similar to the Apex range, as well as a stand alone button for the stadiametric rangefinder, fitted to the top of the unit body, this now displays all three quarry species, hare, boar and red deer at once in the eye display showing there relative distances, previously the XD model each species had to be selected individually. 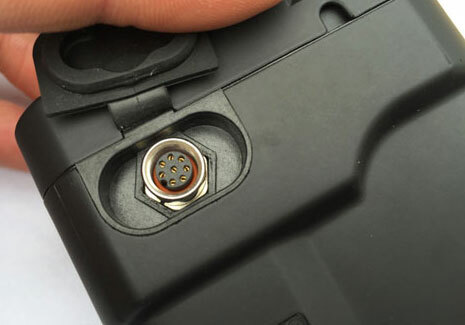 Other features in the XQ range are auto power off when the unit is tilted up or down more than 70 degrees, this can be set to turn off after 1, 3 or 5 minutes in this position, also the inclusion of a wireless remote control as used in other pulsar products, very handy if your vehicle mounting the thermal monocular, the unit boasts a much faster 2 second power on time, basically 1..2..ON, a lot quicker than previous boot up times, but the best feature of the Pulsar XQ series is the inclusion on a new sensor, it boasts the same resolution, but utilising a smaller pixel pitch of 17 microns rather than the 25 microns seen in the HD and XD range, what this does is increase magnification using the same lens size and increase image contrast quality. 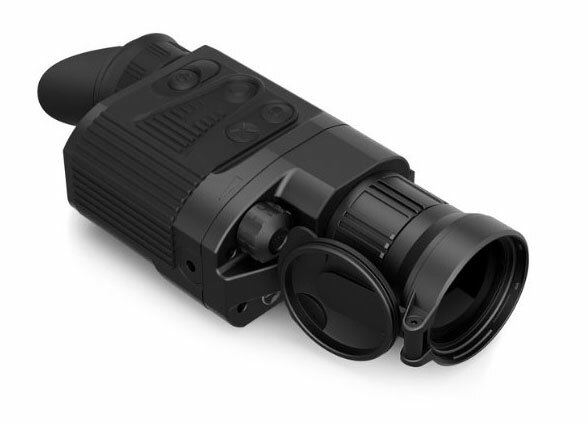 As an example the HD/XD38 model features a 2.1x optical magnification the new XQ38 features a 3.1x optical magnification and the HD/XD50 models have 2.8x optical mag this is now increased with the new sensor to 4.1x optical magnification in the XQ50. So detection ranges have increased man size detection ranges in the XD38 was previously 950 metres the XQ38 now has a 1350 metre detection range. The XD50 has a man sized detection range of 1250 metres the new XQ50 has a 1800 metre detection range. What does this do well it allows you to detect heat signatures at far greater ranges and identify more clearly over the previous models, the improved sensor gives greater contrast that helps with identification also. The Pulsar HD and XD models were already the best thermal monoculars in terms of performance for there respective price range, the new Quantum XQ line makes it a no brainer if your looking for a new handheld thermal monocular, the improvements make them the best thermals for under the £3000 bracket on the market. The Pulsar XQ50 and XQ38 are available to purchase soon from Blackwood Outdoors. The new Pulsar XQ19, XQ38 and XQ50 models are the best yet in the Quantum range, if your looking for the latest thermal monocular in a compact light design with an amazing detection range these are the models to buy!